36 mm rose gold ion-plated stainless steel case. K1 crystal with a ring of highly reflective rose gold metallization. Rose gold sunray dial with clear crystal-set dot and rose gold hands. Rose gold ion-plated stainless steel link bracelet with push-button deployment clasp. 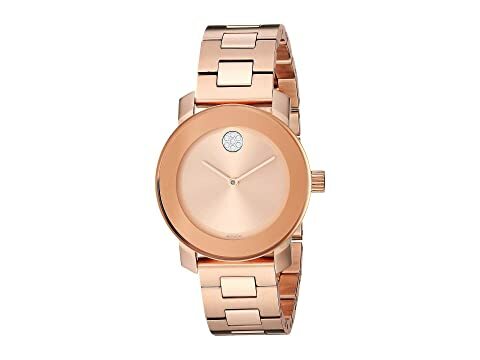 We can't currently find any similar items for the Bold Iconic Metal - 3600550 by Movado. Sorry!